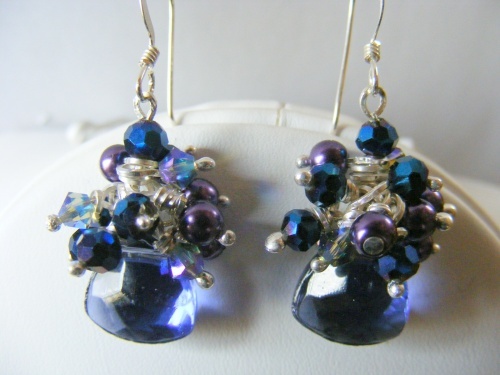 This pretty pair of earrings is dripping with gorgeouse navy blue, and black diamond crystals and complimented with purple pearls. Draped over a gorgeous tanzanite crystal briolette. This pair will sparkle no matter which way you turn you head.